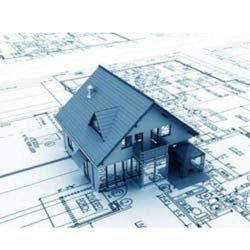 CAD Outsourcing provides Architectural CAD Drafting , architect's drawing, architectural design , architectural 3D Rendering , Animation and walk through service globally.outsourcing your Architectural services reduce the cost of the project and increase the value of the project as it has been desing by engineer's of cadoutsourcing by using latest software. 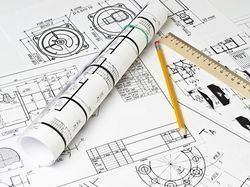 Architectural drafting services is offered based on customer need.We convert the paper to drawings in to professional cad drawings using standards/layers. Service Description :Owing to our in-depth knowledge of this domain, we are specialized in providing Plumbing CAD Drafting Service. Architecture Drafting Services is handled by our professional’s team who has affluent industry understanding. This service is handled by our professional’s team who has affluent industry understanding. We are actively committed towards offering a wide spectrum of Architectural Drafting Services. These services are delivered under the stern supervision of adroit personnel as per set industry principles. More to this, these services are recognized amid our customers for its on time execution. All type of drafting we do like Mechanical, Civil, Electrical, Architectural etc.. Receive faultless, precise and efficient architectural drafting services from expert teams! Our customized Architectural Drafting Services are in line with the latest technological needs and designs. We are here to offer the most qualitative solutions in Architectural drafting. Our company has the best civil CAD model-makers who are professionally skilled in civil 3D modeling. Under the guidance and supervision of our civil engineers & Architects, our CAD model-makers produce a 3D model as per the tastes and needs of the clients. We are a full-service architectural drafting company providing widespread CAD drafting services. Our architectural drafting services can be utilized in all stages of architectural drafting encompassing floor plans, roof plans, utility plans, elevations, details, photo-realistic renderings and walk-through.